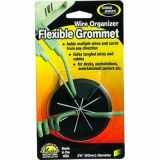 CordAway Grommet, Flexible - Flexible grommet holds and manages multiple-sized wires and cords. 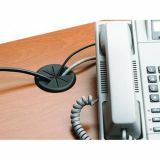 Flexible opening of the single-piece grommet accommodates cords from different directions and keeps them hidden and away from the desktop. 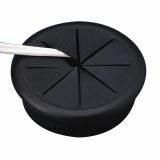 Grommet has a 2-3/8 diameter (60mm)."